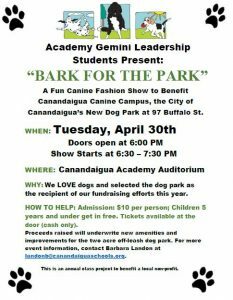 What is Friends of Canandaigua Canine Campus (CCC) and what role does the group play in this project? Friends of CCC, a growing volunteer group founded by Canandaigua resident Nancy McCarthy in 2013, is comprised of over 500 dog lovers who live in or near Canandaigua. Our mission is to help establish and support a membership dog park in the City of Canandaigua where dogs may safely play and exercise. We partnered with the City of Canandaigua and provided in-kind professional resources and services, well-researched input into park design and operation plus raised significant money for park construction costs. When Canandaigua Canine Campus opened in November 2018 our mission was accomplished! What are the benefits of a dog park? Dog parks benefit people, their dogs and communities. 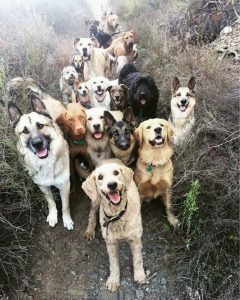 A pleasurable outing to a dog park strengthens bonds between owners and their pets but also encourages human connections establishing camaraderie between pet lovers of all ages and socio-economic backgrounds. When residents and neighbors feel connected, it makes the community, as a whole, a better place to live, work and play. Sufficient off-leash exercise and socialization opportunities mitigate nuisance behaviors (digging, barking). Dogs are happier, healthier and better behaved canine citizens inside and outside dog parks. Friends of CCC has estimated that approximately half of Canandaigua city residences have a dog. Dog parks are the fastest growing urban park category nationwide according to The Trust for Public Land. People love dog parks! Why did the park need to be located in the City of Canandaigua? For the city to own, manage and maintain the park, it needs to be sited within the city or built on city-owned property. Canandaigua Canine Campus is located at 97 Buffalo Street. What was the funding plan? The dog park build costs was a collaborative effort between Friends of CCC, the City and Town. The City and Town each contributed $30,000 and in-kind services (labor and equipment). Friends raised almost $65,000. To make a donation, click on “Make A Donation” link. Your gift will help fund future amenities and improvements. Ongoing maintenance costs are offset by the membership fees. What is a membership dog park? This is a standard dog park model that assures the health and safety of the animals and provides an income stream to maintain the park. Users typically register their dogs in advance, pay a modest annual fee and are required to provide copies of their dog license and immunization records. Friends of CCC advocated for a membership dog park model for our community. Can dog owners who are not city residents use the park, too? Canandaigua city and town residents will pay the same membership fee. Those who live outside Canandaigua can use the park at a slightly higher fee. What about visitors using the dog park? Visitors would need to register their dogs and pay the associated membership fee. Is it true that dog parks are noisy and things can get out of control? Dog parks are generally peaceful because happy, well-exercised dogs tend not to bark excessively (they chase, sniff and wrestle but rarely communicate by barking) while frustrated, bored, territorial dogs do bark. Dogs with consistent opportunities to exercise and socialize off-leash are usually better canine citizens in and outside of a dog park. Responsible pet owners won’t compromise the safety and well-being of their dogs. A membership park ideally helps to educate dog owners on dog park etiquette, canine body language and rules upon registration. If problems do arise occasionally, the city can address these issues by communicating directly with the registered dog park members. Can any type of dog use a dog park? Dog parks are great for most dogs but not all. Frail or elderly, young puppies, aggressive or excessively shy canines are not good candidates for group play. And while a completely fenced in play yard adds a safety net for “wanderers,” all dogs using a dog park should be well trained and under voice control (come to the owner when called). This makes the experience safe and enjoyable for everyone.